I love the Beatles, but more than just the Fab Four, I love Lennon/McCartney lyrics. That’s why the first thing that came to mind when I set out to create a project using the Duetica Lettering Arts software, was All you need is love. 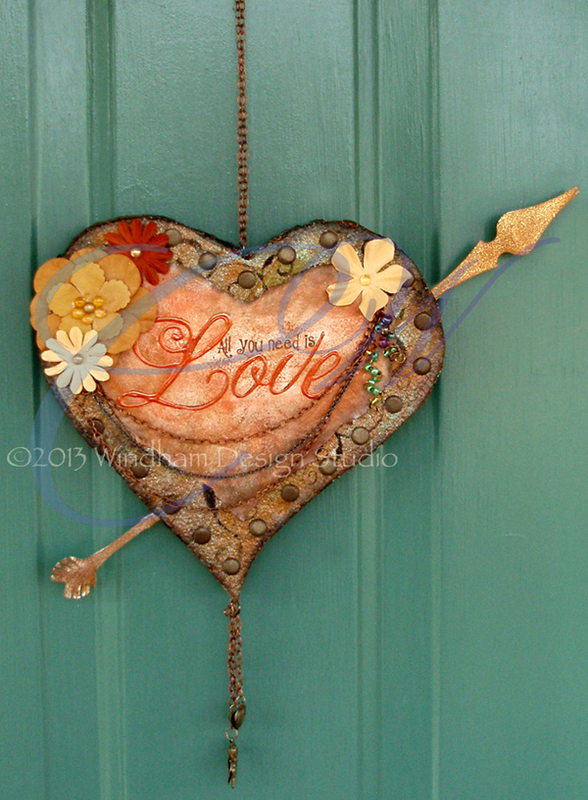 This door hanger says it all. We usually don’t think of brown and beige as the colors of love, but then again, love is all you need, no matter what color it is. The Duetica Lettering Arts Studio makes it easy to get the letters to behave just the way you want. I used one DT Mandolyn font option for the L and set the additional letters (OVE) in the DT Mandolyn font as well, but with different letter options. I also moved the L closer to the o using the letter spacing button in the software. This makes the perfect wall hanging because it weighs very little. That wood-look base is really Smoothfoam®. Any weight comes from the hardware. Note: This is actually a recycled piece of Smoothfoam. I made several clocks for the Craft and Hobby Tradeshow and Convention. One was a fatality in the shipment home, so I used it for the heart shape. This entry was posted in Decor, Design Team, gifts, Inspirational Ideas and tagged decor, Design Team, Duetica Lettering Arts Studio, Fonts, home decor, Valentine. Bookmark the permalink.